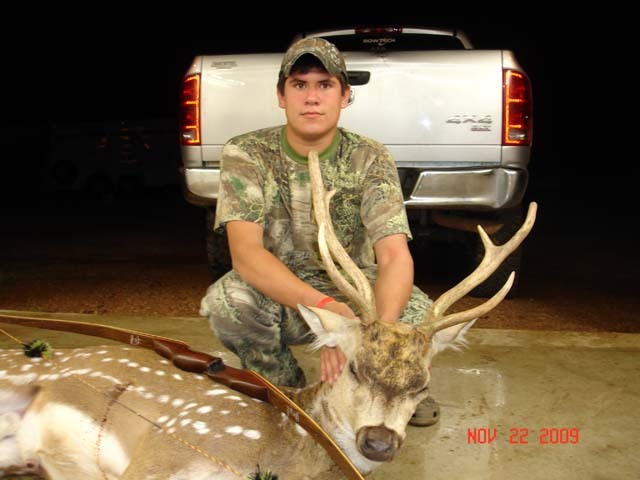 Cody Erickson (15 years old) who harvested the axis deer on 11/21/2009 in Fredericksburg. This deer was harvested using traditional equipment which was a Foley longbow and custom wood arrows by Terry Dunn. The axis weighed approximately 170lbs.